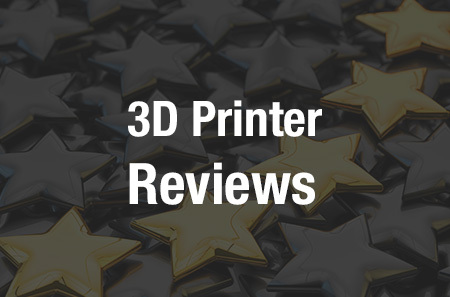 The Startup Competition has long held a special place at Inside 3D Printing events, and winners of the esteemed prize have been going above and beyond in the business since they took their turn on this stage. At Inside 3D Printing San Diego, eight companies took to the microphone in the Frontier Tech Showdown to vie for the prize — a $15,000 uncapped SAFE awarded by Asimov Ventures. The competition, highly anticipated for months, has seen another run of incredible drive and talent from startups from around the world. Ahead of the competition, Leo Trottier, the co-founder and CEO of CleverPet, took to the stage to provide a look at his company’s status since their win at last year’s competition. He shared a video of one of their customers, a happy and engaged dog, as well as some customer testimonials — all made more possible through the support of funding that was kicked off with the company’s win last year, upon which more investment has already been built. Metamason’s CEO Leslie Karpas was additionally present to fill us in on more updates since their win last year for their 3D printed personalized respiratory mask. We’ve been following updates from Metamason, and Karpas shared news about partnerships including one with Intel, as well as the upcoming closing of their first clinical trial. With this show co-locating Inside 3D Printing, RoboUniverse, and Virtual Reality Summit, entrants included focuses on all these areas of frontier technology. Companies presenting in this latest competition included San Draw, Arfona LLC, Obsess, Embodied Labs, Inc., ILLUSIO Imaging, 3YOURMIND, Elite Robotics, and Gnetic Inc. The session room was packed as anticipation built for the popular and business-changing competition. The three judges included Tyler Benster of Asimov Ventures; Lea Freeman of Qualcomm Ventures; and Kate McAndrew of Bolt. Each entrant, as ever, was allowed a five-minute presentation window followed by a brief Q&A with the judges. First to take to the mic, Carrie Shaw, CEO and Founder of Embodied Labs, shared the high-tech goggles she had designed, inspired by her mother’s need as part of her diagnosis with early-onset Alzheimer’s — and the company has taken off from there with virtual reality to share the patient experience. Embodied Labs is partnering with MATTER, and produces a library of patient experience labs comprising a virtual reality experience as well as curriculum and assessment tools. Shaw donned a VR headset to show us the patient experience, and how the vision and hearing are both impaired to mirror the relevant patient’s experience. She noted that this is an addressable market of $1.2 billion and that the company has already won several accolades and has ambitious goals for investment in the next six months. Next up came Robert Kay, CEO of Elite Robotics Corp. With a tagline of “Smart Robotics for Smart Work,” Kay presented his company’s vision of “Robotics Simplified.” Noting that we’re nearing an inflection point for robotics and that small-medium businesses (SMBs) feel a pain point in a requirement for alternatives to manual labor, Kay presented his company’s vision for a full solution, of work cell solutions for assembly operations. With a patented 3D vision guidance, the system can set up a system for any pick-in-place system. Software, he noted, was the key to their system, with the script almost in plain English to simply write up a manufacturing plan. Gnetic took to the stage next, with Founder and Director Gregg Ratanaphanyarat introducing his company by asking who dislikes chores. The answering chuckle confirmed his point that people currently spend significant amounts of time doing chores — but while robots can take care of some things, Ratanaphanyarat pointed out that single-purpose robots are flawed. Gnetic addresses this by creating what they call the world’s first multi-purpose smart robot. Their robot design can swap out modules, creating “the smartphone of robots” to allow for different functions, as a smartphone can be both a phone and a map, and their robots can both cut lawns and grab packages. The first robot with starter modules is priced starting at $2,000 and is targeted at the consumer market. Neha Singh, Founder and CEO of Obsess, next presented a virtual reality shopping platform for fashion. She began by noting that luxury fashion is sold in the same interface as is toothpaste, and that these platforms do not cater to how women shop. Obsess seeks to replace utilitarian shopping experiences with a “beautiful, immersive, interactive” experience. Singh presented several use cases highlighting the sensory shopping experience Obsess seeks to make available via VR. She noted that fashion brands could benefit as well from 360 degree advertising experiences. Through this platform, users could watch fashion shows, shop directly, and engage with products virtually. Starting off the second half of presenters was San Draw, with Co-Founder and CEO Gary Chang speaking about silicone implant 3D printing for plastic and cosmetic surgery. San Draw, a young company we have been following for some time, is focusing on facial implants in the cosmetic surgery arena, with Chang noting that customer-specific implants save time in the operating room by removing the need for trimming. 3D printed implants can be created quickly, with Chang stating a production time of about 40 minutes, allowing a customer to go for a consultation in the morning and have their custom implant put in by the afternoon. San Draw’s proposed business model streamlines the process and is said to reduce costs by 10% to 30%, and the company notes that they are the only current producer of implant-grade 3D printed silicone with an FDA-approved material. San Draw additionally provides silicone 3D printing for medical education. Presenting on the dental industry, next came Justin Marks, Founder and CEO of Arfona. Noting that 178 millions are currently missing one or more teeth, Marks’ company is focusing on tooth replacement options with 3D printed flexible partial dentures. The dual-extrusion desktop 3D printer Arfona is using is said to be the first filament-using machine (rather than resin-based systems) used in the dental industry, created in partnership with Valplast International. The same printer can additionally be used for other applications, and Arfona indicates about a 40% cost reduction specifically in partial dentures. Marks noted $1.6B sales in global 3D printing in dentistry in 2016, explaining that they wanted to get in on that growing market. Arfona is additionally developing new materials and applications (nightguards, full dentures, implant structures), digital design services for labs and dentists, and the opening of denture clinics with digital workflow in underserved markets (e.g., India, Brazil). 3YOURMIND Founder Aleksander Ciszek presented his company’s view on software for industrial 3D printing. This company, which we have been keeping up with lately and which won the Start-up Challenge at formnext last month, counts 8 of the largest 20 German companies among its customers. Ciszek drew from the example of their customer Volkswagen, which had previously seen a lag time in digital design needs. 3YOURMIND uses a material finder to save time in selecting the ideal material for a job, as well as employing a mesh-healing and design check to analyze designs. The software features integrations into a variety of CAD programs and other systems. Finally, Ethan Winner, CEO and Co-Founder of ILLUSIO Imaging, closed out the presentations with the world’s first augmented reality solution for breast augmentation. With a “virtual mirror” technology, ILLUSIO imaging seeks to bring AR and a virtual image into the real world, placing a 3D virtual breast image on a patient during a consult. Another major market in plastic surgery, breast augmentation is a booming business with about a $2.5 billion market in the US alone. Winner stated that the way that women select their implants is an antiquated procedure. ILLUSIO seeks to create an emotional connection for each patient via their “virtual mirror” technology. The patient wears a marker and stands in front of a camera that projects real-time images to a screen showing potential surgical results, enhancing the decision-making process. The company recently met with Johnson & Johnson’s Mentor, a large distributor of breast implants, which indicated interest in distributing this platform. The presentations concluded the conference day on Wednesday, building up to the announcement of the winner Thursday morning at the opening keynote. Following Terry Wohlers’ gripping presentation, Tyler Benster took to the stage to announce a first for the competition — TWO winners! Asimov Ventures, which closed their first venture round this year, will now be backing the two co-winners, each awarded a $15,000 uncapped safe. The first winner, already on a plane as of the announcement, is Obsess. “We are really excited to have this support from Asimov Ventures as we build a platform that will enable fashion brands and retailers to create the next generation of customer experiences using Virtual Reality,” said Singh. The second co-winner is ILLUSIO Imaging, with Ethan Winner present to accept the comically large check awarded to his company.